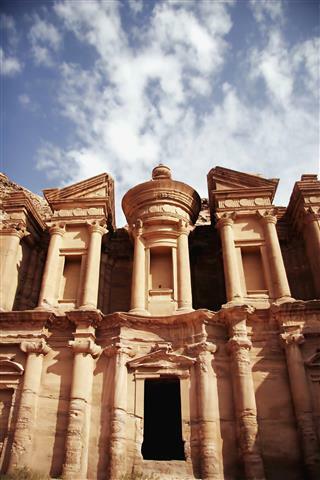 Petra was left by the Nabateans, they built it around the 5th century B.C.E. The entrance is called the siq. 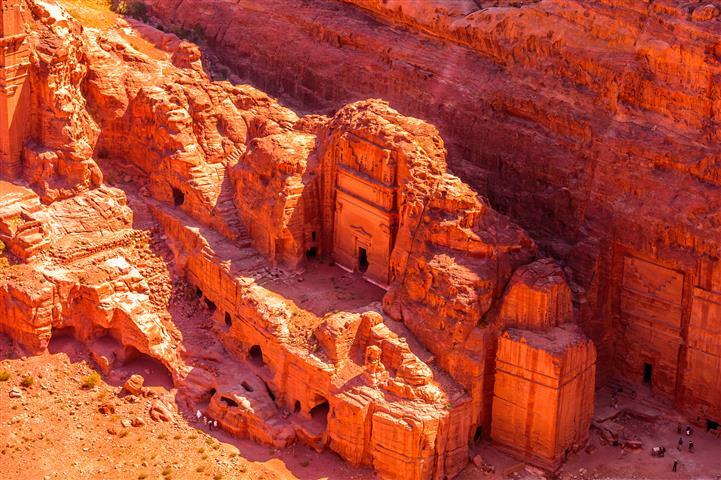 It is a long path way that is a crack in the mountain, after which you will get your first look at the amazing Treasury, the great facade that was carved into the mountain. There are tombs, most of them were deteriorating, and due to this, were robbed of their treasures. An amphitheater that is cut into a hillside, as they were building it uncovered a lot of tombs. 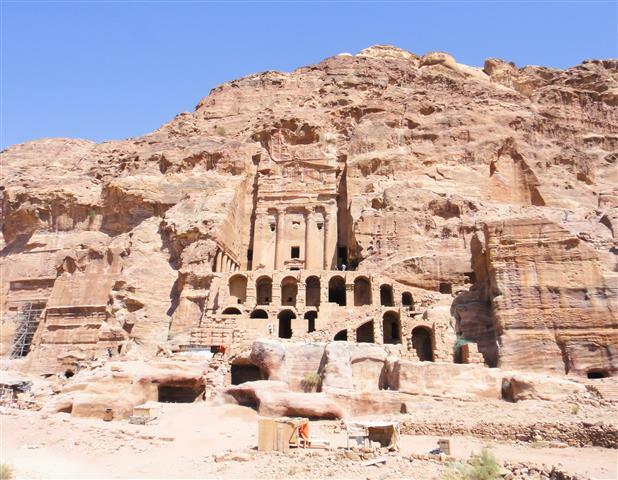 There are still over 800 structures in Petra today. Departure on Sunday, Monday, Tuesday, Wednesday, Thursdays only. 08:30: Transfer from border to Petra in our newest models of air-conditioned cars / vans /buses. 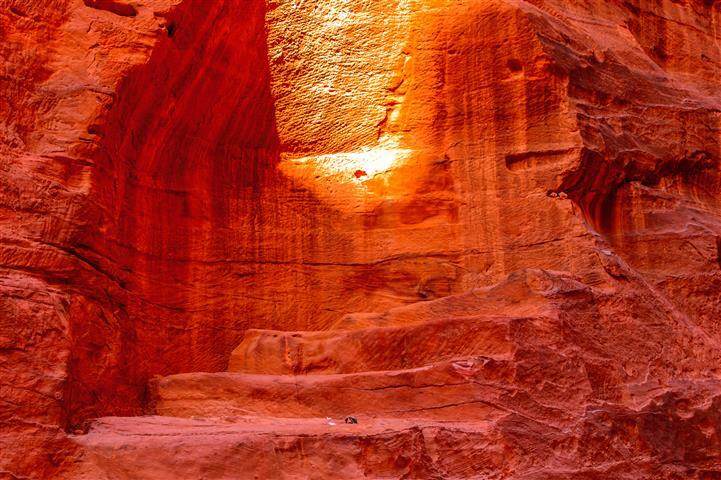 Following through a scenic route on the mountain side, and arriving at Petra's historical site, known as one of The Seven Wonders Of The World. 11:00: Tour of Petra begins at the entrance to the site. Included in your package is an optional horse-back ride. (Tipping the carrier is required, ranging from 2-5 dollars at your discretion). 15:30: Lunch at a local authentic restaurant. 16:30: We begin our return trip towards the border. This route includes a few stops along the way at certain observation points in order for you to enjoy the beautiful landscape Wadi Ram has to offer. 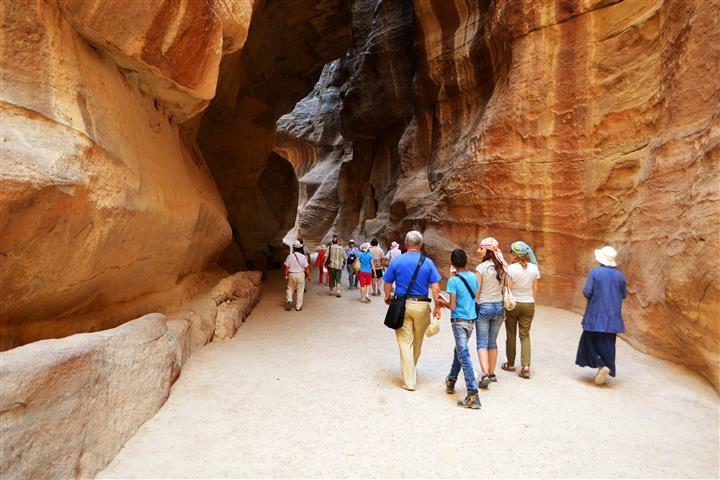 Jordanian English speaking tour guide In the site of Petra. Transportation is by new executive models of air-conditioned cars / vans / buses. We require nationality, passport number, date of issue, expiry date and birth date for your reservation.